Group Size: Avg. 16, max. 24. Game drives, amazing wildlife and more! 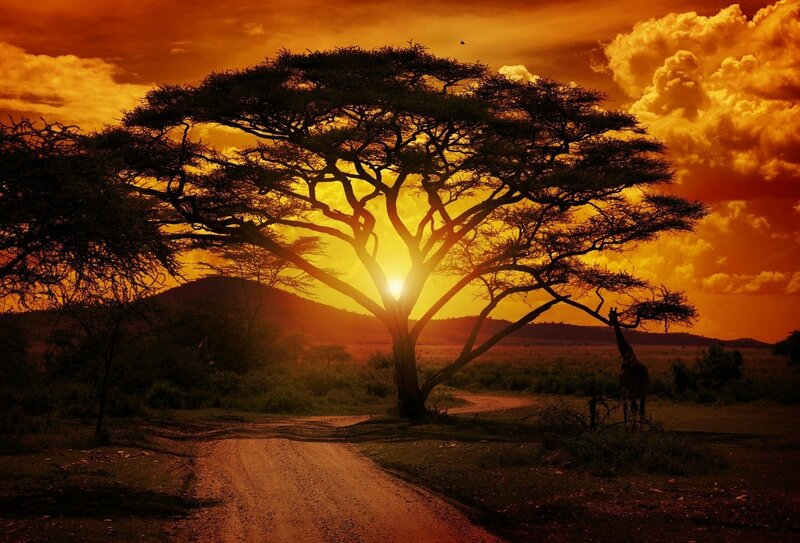 Discover the delights of Africa on this unforgettable 35-day overland adventure. Journey through South Africa, Namibia, Botswana, Zambia, Malawi & Tanzania, and end up on the stunning spice island of Zanzibar! You’ll enjoy epic inclusions, such as safaris in Etosha and South Luangwa National Parks, cultural experiences with local tribes, beach time on the shores of Lake Malawi, and a stunning 3-night island getaway on Zanzibar. Plus, you can supercharge your experience with our optional Adventure Pass, and double up on the once-in-a-lifetime adventures! Amazing! Please Note: This tour also runs in reverse from Zanzibar to Cape Town. Please select the direction of travel you'd prefer in the booking section to see the relevant start dates. Laze by the idyllic shores of Lake Malawi and end your tour on the amazing spice island of Zanzibar! 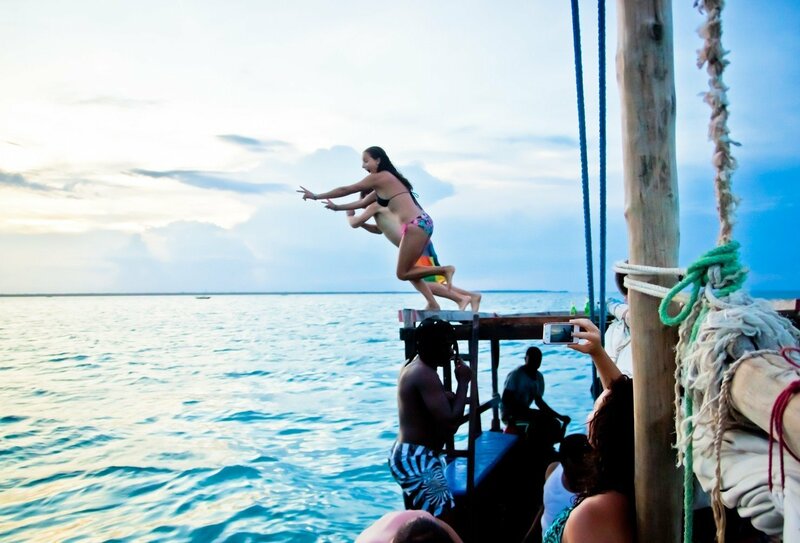 Opt to do the trip in reverse, from Zanzibar to Cape Town! This route can also be travelled in reverse, from Zanzibar to Cape Town. Please see the end of this itinerary for more details. Day 1: Cape Town to Western Cape, South Africa. Kick off in buzzing Cape Town. Adventure pass holders will take a tour of a local township. Travel along the beautiful Western Cape and enjoy an optional wine tasting before making camp by the Olifants River. Lunch and dinner included. Day 2: Western Cape to Gariep (Orange) River. Journey north to the rocky landscapes of the Namibian border. Make camp by the gorgeous Gariep (Orange) River. Optional canoe river safari or hiking in the area. Breakfast, lunch and dinner included. Day 3: Gariep (Orange) River to Fish River Canyon, Namibia. 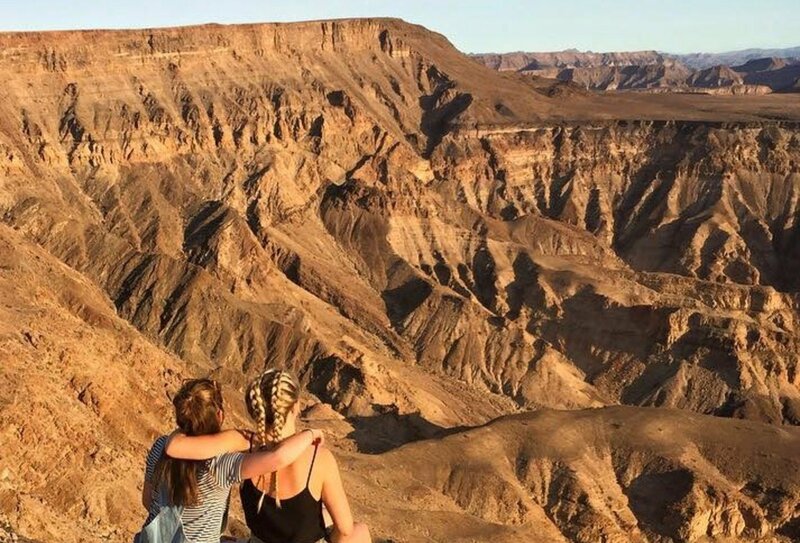 Relax on the banks of the orange river and then explore the mighty Fish River Canyon, the second largest canyon in the world. Breakfast, lunch and dinner included. Day 4: Fish River Canyon to Sesriem. 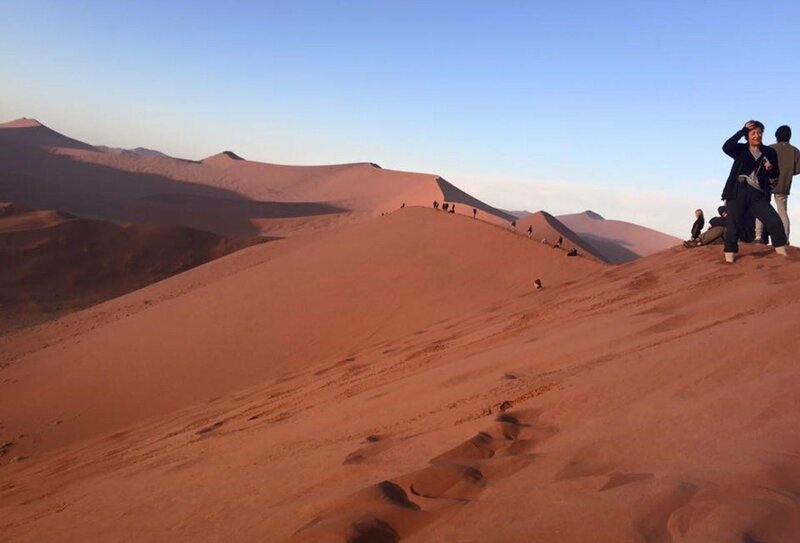 Get your first glimpse of the beautiful Namib desert and set up camp beneath a starry desert sky. Breakfast, lunch and dinner included. Day 5: Namib Naukluft National Park to Sossus on Foot. 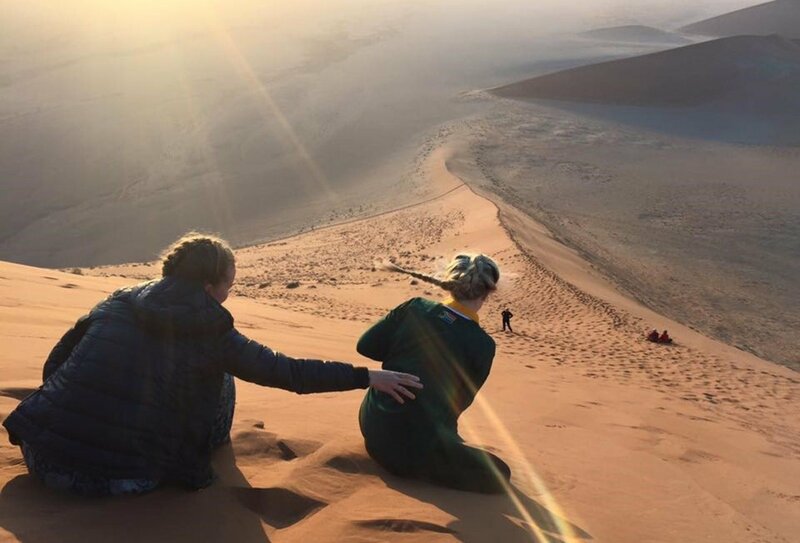 Venture into the desert and watch the sunrise from Dune 45. 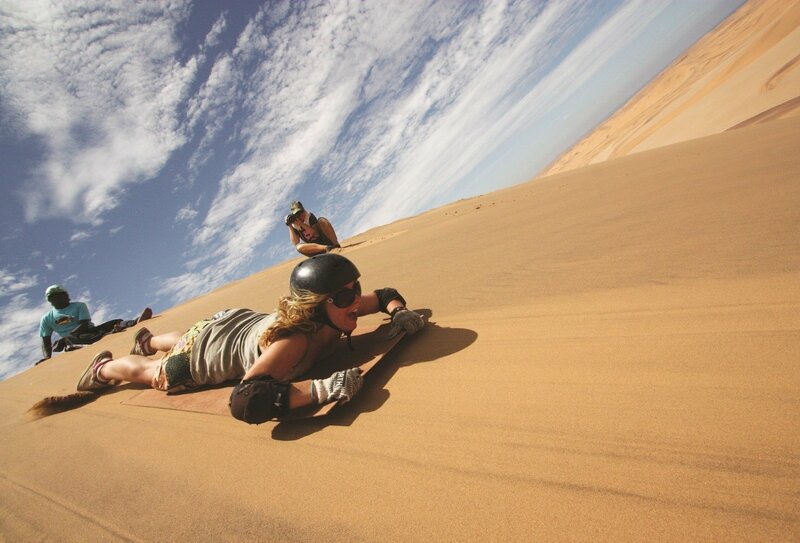 Adventure pass holders will visit the giant sand dunes of Sossusvlei. Explore the impressive Sesriem Canyon before camping in a traditional desert camp. Breakfast, lunch and dinner included. 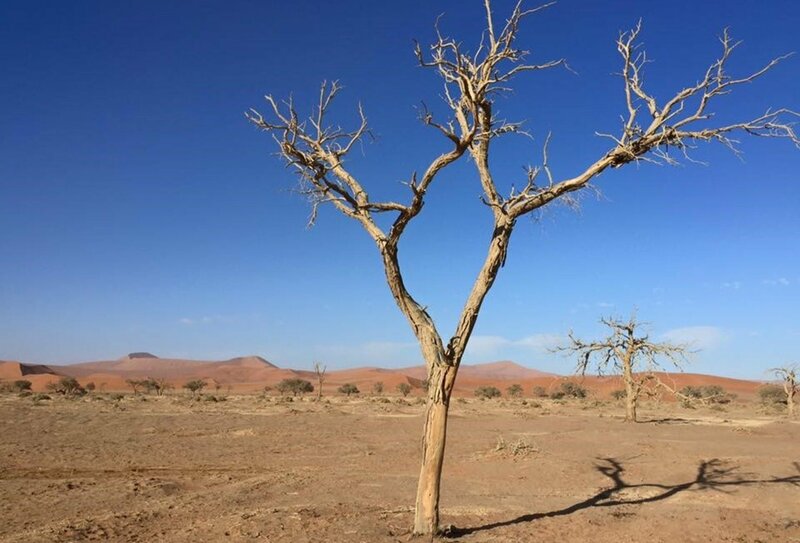 Day 6–7: Sossus on Foot to Swakopmund. 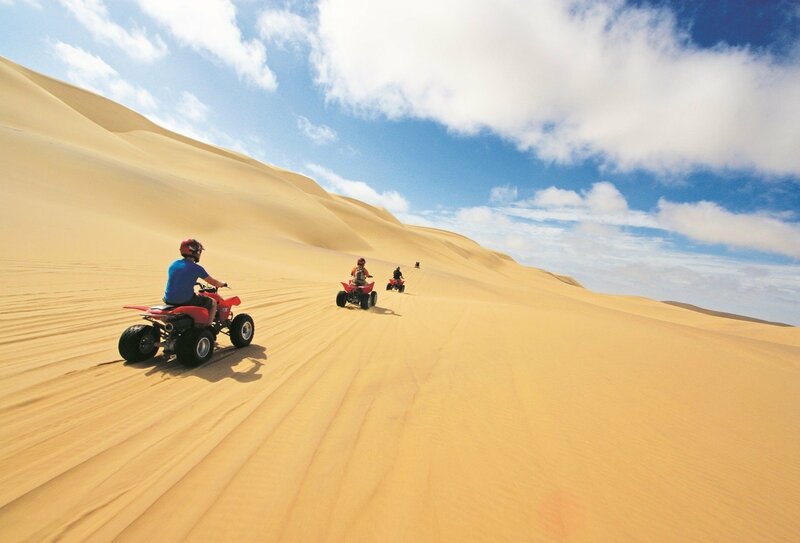 Swap the baking desert for the cooling coast in Swakopmund. Here, you can enjoy cool sea air and adventure activities galore. 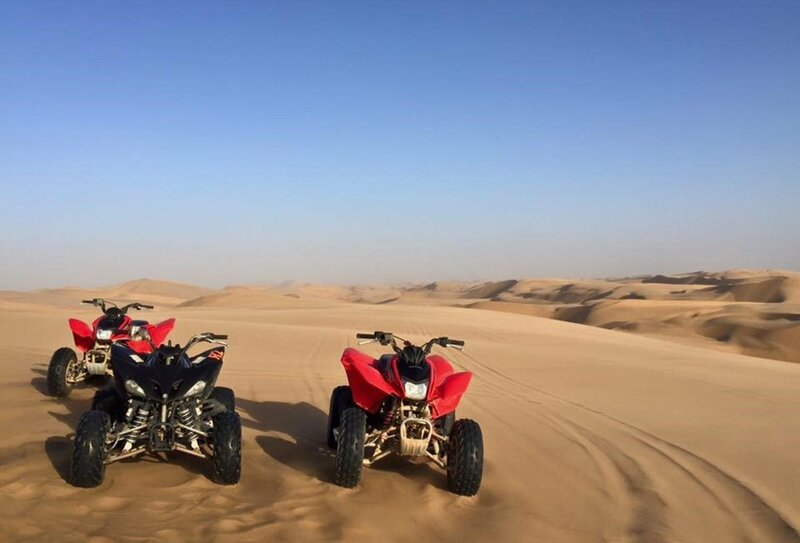 Why not try quad biking, sand boarding or skydiving? Breakfasts included. 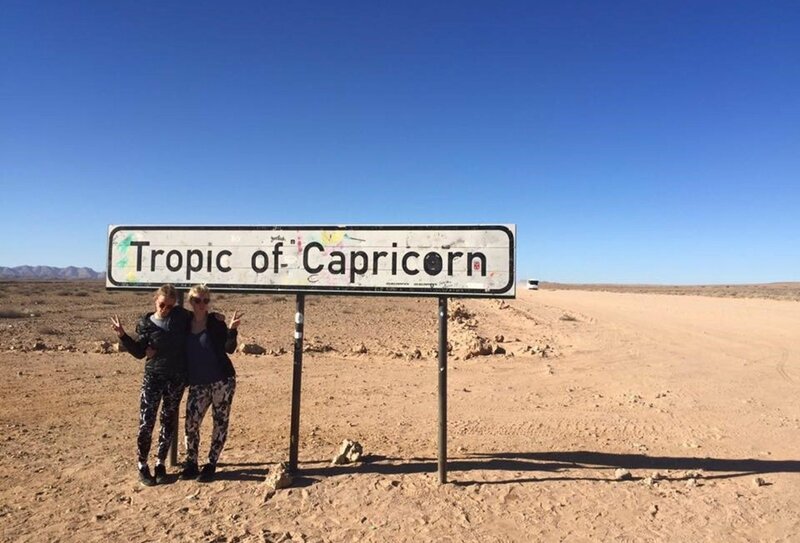 Day 8: Swakopmund to Spitzkoppe. Step back in time in Spitzkoppe and admire the ancient bushman paintings. Watch the rock turn orange and red as the sun sets. Camp at the foot of the mountain. Breakfast, lunch and dinner included. Day 9-10: Etosha National Park. Prepare for your first wildlife encounters in Etosha National Park, home to 114 mammal and 340 bird species. Spend two amazing nights camping by a floodlit waterhole and spot wildlife on an unforgettable game drive. Breakfasts, lunches and dinners included. 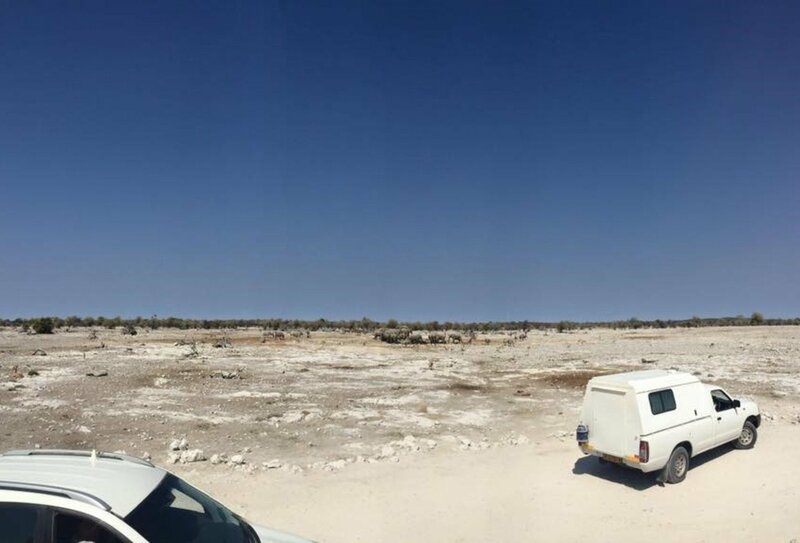 Day 11: Etosha to Windhoek. Journey south towards the Auas and Eros Mountains and spend the night in Namibia’s capital city, Windhoek. Enjoy a night out with your group. Breakfast and lunch included. 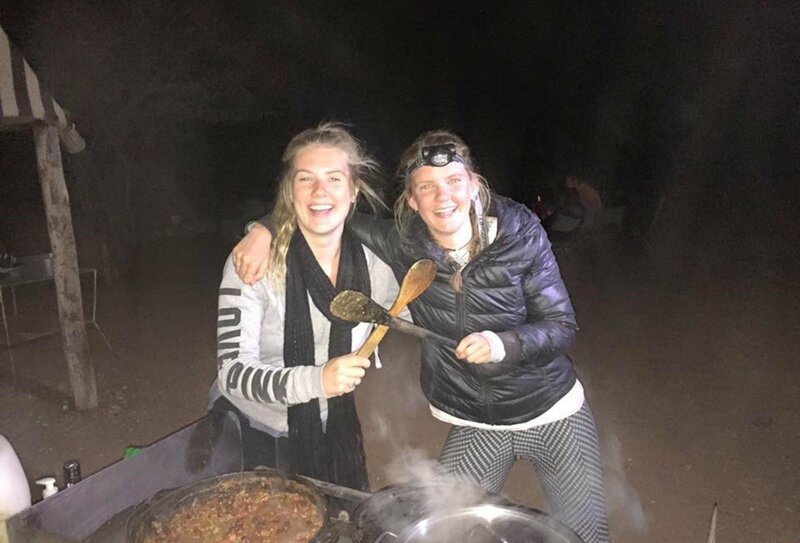 Day 12: Windhoek to Ghanzi, Botswana. Head east into Botswana and meet the local San/Bushman people. Enjoy a guided bush walk through sun-blasted plains and learn about this ancient people’s way of life. Breakfast, lunch and dinner included. Day 13: Ghanzi to Maun. Once Botswana’s ‘Wild West’, Maun has a fascinating mix of modern and native dwellings. Keep your eyes peeled for antelope grazing on the banks of the Thamalakane River. Breakfast, lunch and dinner included. Day 14: Okavango Delta. Adventure Pass holders will head into the magical Okavango Delta for a unique canoe and wildlife overnight excursion. An unforgettable experience! Breakfast, lunch and dinner included. Day 15: Maun. Return to Maun by midday and spend a free afternoon trying exciting optional activities or relaxing in Maun. Breakfast, lunch and dinner included. 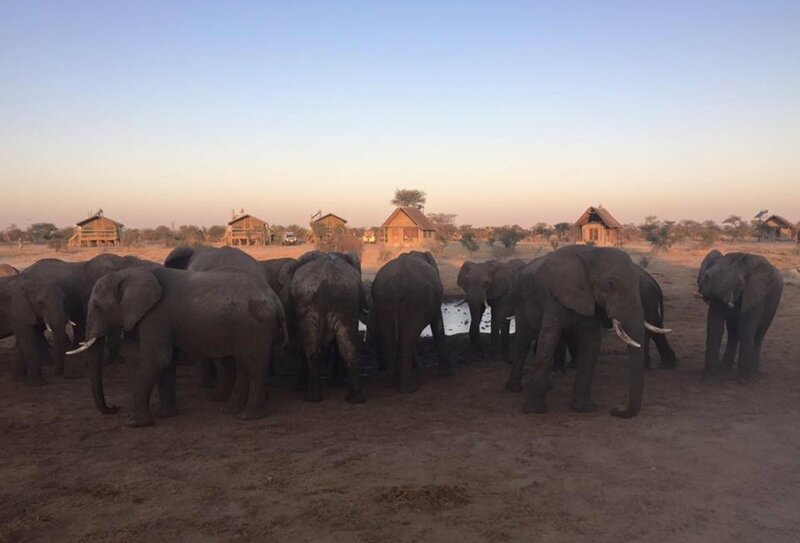 Day 16: Maun – Elephant Sands, Nata. Travel from Maun to Nata, arriving at the Elephant Sands Lodge in the late afternoon. 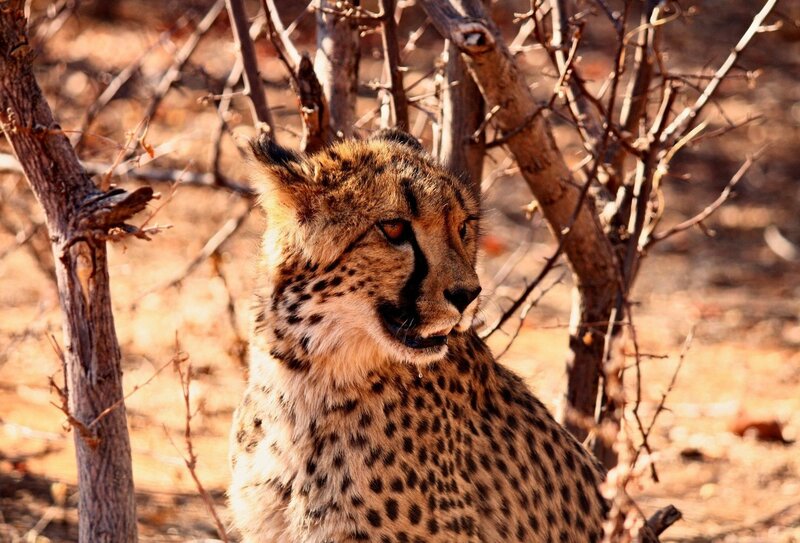 With no fences, expect to spot wildlife roaming freely between waterholes! Breakfast, lunch and dinner included. Day 17: Elephant Sands, Nata – Kasane. Journey to Kasane, the gateway to Chobe National Park. Adventure Pass holders will enjoy a ‘Fish Eagle’ cruise on the Chobe River to spot hippos, buffalo and elephants. Breakfast, lunch and dinner included. Day 18: Kasane to Livingstone, Victoria Falls, Zambia. Adventure Pass holders will explore Chobe National Park on an open vehicle game drive, spotting elephants, lions and antelopes. Then, cross the Chobe and Zambezi Rivers by ferry and enter Zambia. Camp close to the mighty Victoria Falls. Breakfast included. Day 19-20: Livingstone, Victoria Falls, Zambia. 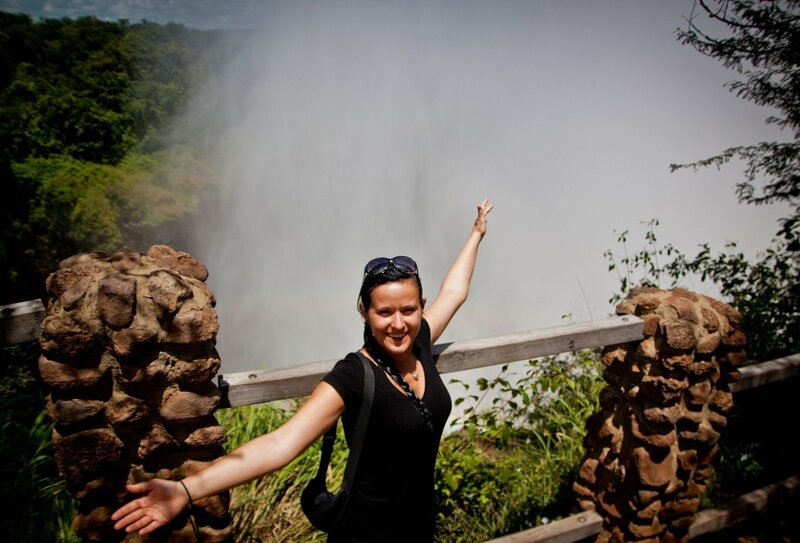 Spend two more days having fun and adventures in Livingstone! Breakfasts included. Day 21: Livingstone – Lusaka. Make your way through lush scenery to Zambia’s capital city, Lusaka. You will camp in a peaceful farm setting outside the city. Breakfast, lunch and dinner included. Day 22-23: Lusaka – South Luangwa National Park. Your destination today is the stunning South Luangwa National Park, where you will spend two nights. Adventure pass holders will enjoy a morning game drive, spotting giraffe, elephants, leopards, lions and more. Enjoy optional walking safaris, village walks and relaxation in this lush natural setting. Breakfasts, lunches and dinners included. Day 24: South Luangwa National Park – Kande Beach, Malawi. Cross into Malawi and make your way to magical Lake Malawi. You’ll camp on the shores and spend time swimming, watching the fisherman ply their trade in traditional dugout canoes, and relaxing on the beach. Breakfast, lunch and dinner included. Day 25: Kande Beach. Spend the day on the beach by Lake Malawi, where you can try some exciting water sports such as diving, snorkelling or surfing (extra cost), or head out and meet some of the locals. Breakfast, lunch and dinner included. Day 26: Kande Beach – Chitimba Beach. Drive through scenic rubber plantations to Mzuzu and check out the local markets. Spend the night on picturesque Chitimba Beach. Breakfast, lunch and dinner included. Day 27: Chitimba Beach. Chill out on the beach, explore the area, and wander the surrounding hills that offer magnificent views. There is also a fantastic local craft market where you can brush off your haggling skills in search of the perfect souvenir. Breakfast, lunch and dinner included. Day 28: Chitimba Beach – Iringa, Tanzania. Cross the border into Tanzania, climbing in altitude through the Southern Highlands until you reach a working rural farm, where you’ll spend the night. Breakfast, lunch and dinner included. Day 29: Iringa – Mikumi. Head east and keep your eyes peeled for elephant and giraffe in Mikumi. Breakfast, lunch and dinner included. Day 30: Mikumi - Dar es Salaam. Journey towards the sparkling Indian Ocean and soak up the lively atmosphere of Dar, with its colourful markets and Arabic architecture. Breakfast, lunch and dinner included. Day 31-34: Zanzibar Island. Hop across to the idyllic spice island of Zanzibar for a 3-night island stay. The exotic destination of Zanzibar is known for its stunning sandy beaches, swaying palm trees, winding cobbled streets and tropical forests. Breakfasts included. Day 35: Zanzibar – Dar es Salaam. Enjoy a final few hours on Zanzibar before catching the ferry back to the mainland, where the tour ends today in Dar es Salaam. Breakfast included. Please note: The itinerary above is for guidance only. Every effort is made to adhere to the planned route, but please allow for a certain amount of flexibility, as on occasion it may be necessary or desirable to make alterations to the itinerary. This tour can also be done in reverse, from Zanzibar to Cape Town. Starting in Dar es Salaam, this 34-day adventure includes all the same destinations apart from South Luangwa National Park. Please select the direction of travel you'd prefer in the booking section to see the relevant start dates! For more information about the reverse itinerary, please download the trip notes for this trip. Please select the direction of travel you'd prefer in the booking section to see the relevant start dates. 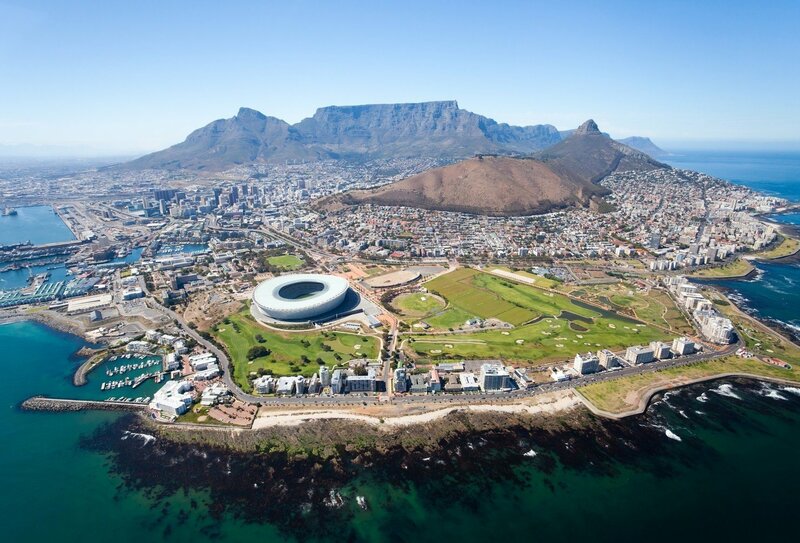 You will need to arrange your flights into Cape Town International (CPT). The pre-departure meeting is held at 6pm on the evening prior to departure. 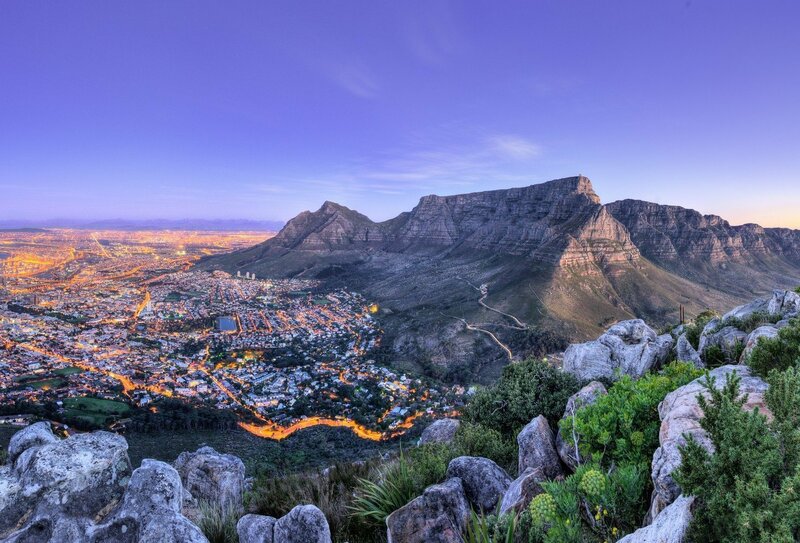 You will need to book one night’s accommodation in Cape Town (at your own cost), as the tour departs at 8am on day 1. We can advise you on how to arrange this accommodation. Airport transfers are not included. The tour ends in Dar es Salaam on day 35, and does not arrive back to Dar Es Salaam until early evening, so you must not book a flight until at least 8pm that day. We strongly recommend you book a night at the end of your tour and fly home the following day. Accommodation is usually available locally on arrival. 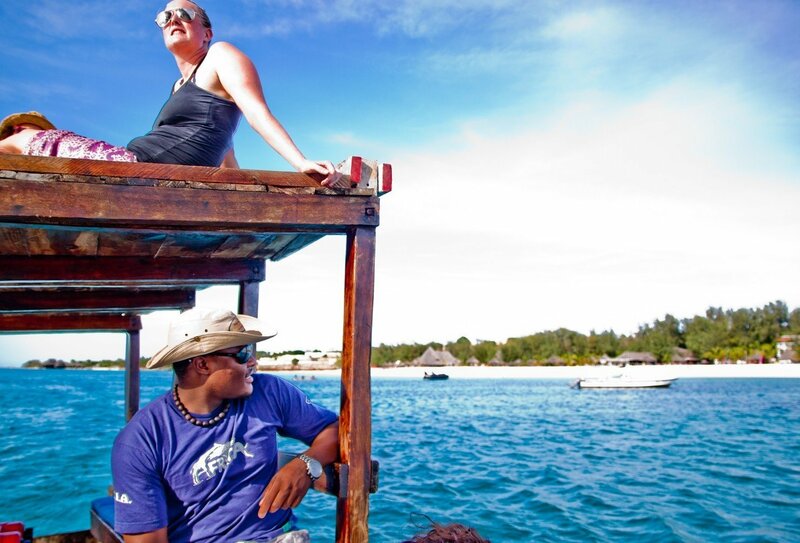 Some travellers choose to stay on for a few days after their tour as there are a variety of activities and excursions in the Dar es Salaam area that you can arrange locally or with your Tour Leader. You will need to arrive into Dar es Salaam in time for a 6pm welcome meeting on the evening prior to departure. You will need to book one night’s accommodation in Dar es Salaam (at your own cost), as the tour departs at 8am on day 1. We can advise you on how to arrange this accommodation. Airport transfers are not included. The tour ends in Cape Town on day 34. Due to the late finish we recommend you book an extra night in the city and fly out the next day. Accommodation is usually available locally on arrival and your guide can help you arrange this. Overlanding is a real adventure and one of the best, most authentic ways to discover Africa, but it can also be a challenge! 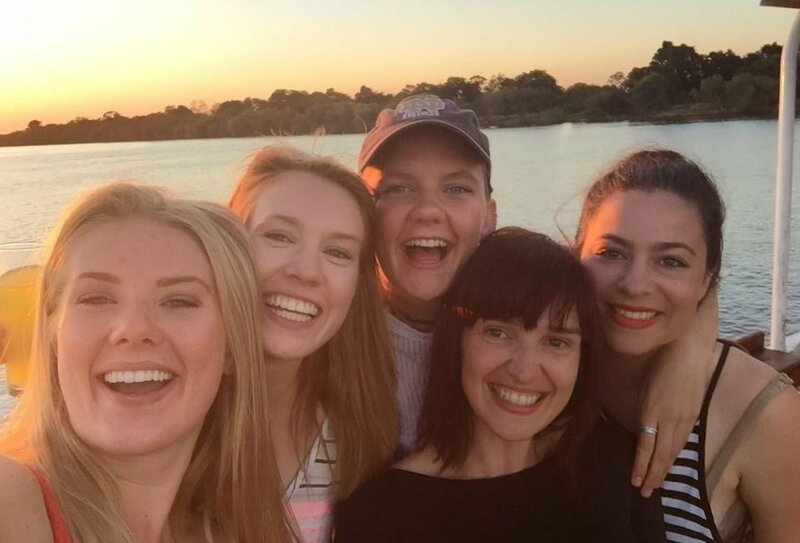 All the group will be expected to help out setting up the camp each night, and there will be a rota for camp duties such as shopping, cooking and keeping the truck and camp tidy. It’s a real African immersion experience! You will be travelling in an overland, custom-built safari truck which will soon become your home from home. These 24-seater trucks have tables, electricity sockets, a freezer and water tank, an on board library, i-pod jack and individual lockers. Travelling in Africa is not always predictable so you should be prepared to “expect the unexpected’ and bring your sense of adventure! It is possible we may encounter a few delays or difficulties en route and there can be occasional power failures, water or fuel shortages and temperature changes. But if you keep an open mind and a flexible attitude then your overland tour will be an unforgettable experience! You will be camping in 2-person dome tents with fly sheets, sewn-in ground sheets, zip-up insect screens and foam mattresses. You will need to bring your own sleeping bag and a small pillow if you wish. You will mostly be staying on campsites with washing and shower facilities, toilets, electricity points and sometimes even a small shop, bar or swimming pool. In the Okavango Delta on day 15 (day 20 for reverse route) you will sleep in twin share pre-erected tents with en-suite facilities (Adventure Pass only) . You will be staying in some amazing locations, alongside rivers, by mountains and in stunning National Parks. 34 Breakfasts, 24 Lunches and 24 Dinners are included on the Cape Town to Zanzibar route. 34 Breakfasts, 23 Lunches and 24 Dinners are included on the Zanzibar to Cape Town route. In Swakopmund and in Livingstone, included meals are restricted to breakfasts. This allows you to take on half day or full day activities (some of which include lunch) without having to be back for meal times. It is easy to find a meal locally for around USD15 -30 per meal. Luggage should be kept to a 20kg maximum, and should be kept either in a soft bag or rucksack, plus a smaller day bag. We recommend you bring a mixture of lightweight clothing and warm clothing for the evenings and for wearing on early morning game drives. You will also need to bring your own sleeping bag (and also a small pillow if you would like one). We also suggest you pack a small torch or headlamp, mosquito spray and a money pouch/ belt. Please try to avoid bringing unnecessary valuables. The minimum age to join this trip is 18. 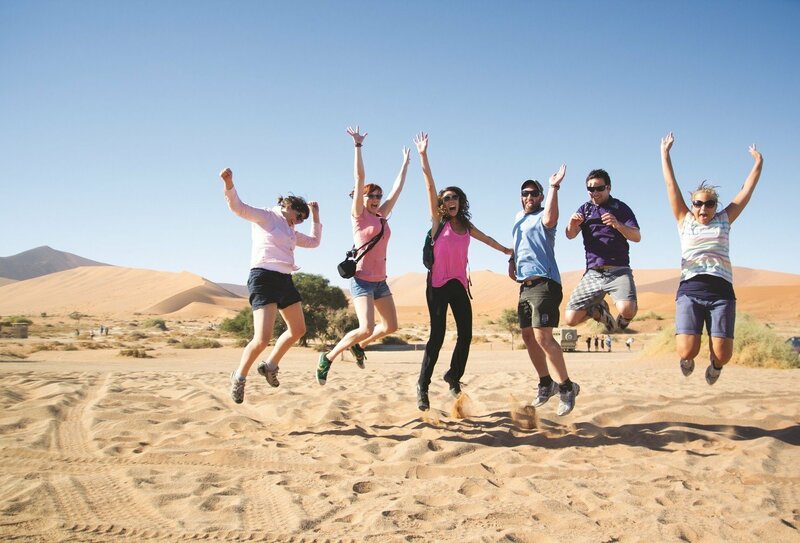 Our adventure tours are designed for 18-39 year olds. All countries require travellers to have a valid passport (with a minimum 6 months validity), and you are required to acquire the entry visas for each of the countries visited. For UK citizens, visas are not required for entry to South Africa, Namibia or Botswana, but are required for entry to Malawi, Zambia and to Tanzania. Visas should be arranged with the relevant embassy before you travel. If you show up at a border and should you not have the required visa you will be denied entry to the country and be sent back to the closest embassy/high commission to get the visa. It is your responsibility to have the correct travel documentation. Please note rules regarding visas can change, so for the most up to date advice, please contact your local embassy. From 1st June 2017, all tourists visiting Botswana will be required to pay a tourism levy when crossing the border. This levy will be approximately USD30, payable by cash in US dollars. This is subject to change. Please speak to a travel advisor for more information.